Look, puddin' pops are great and all, but after a hard day's work, even Cliff Huxtable needs a little sumpin' sumpin' to wind down. 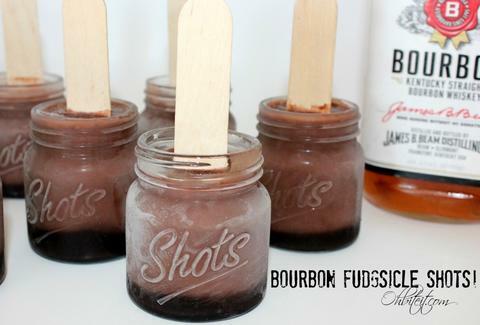 Thankfully, we now live in a world with bourbon fudgsicle shots. Molded by Oh, Bite It!, these tiny frozen treats pack some serious chocolate and some even more serious Kentucky flavor. The secret lies in replacing the pudding mix's usual 1/2C of milk with hooch, and drizzling the bottom of each shot glass with chocolate syrup for a nice fudge-y kicker that will have you scoffing at standard Jell-O shots during every tailgate that follows. Kristin Hunt is a food/drink staff writer for Thrillist. She has not had a fudgsicle in years, but could break her fast for these. Follow her at @kristin_hunt.